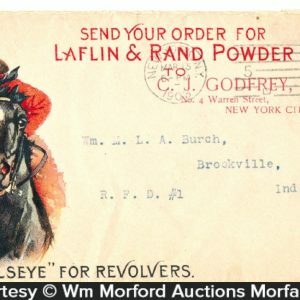 Unusual paper label gun powder tin for Laflin & Rand Powder Co.’s Unique Smokeless Gun Powder for government rifles and service revolvers. 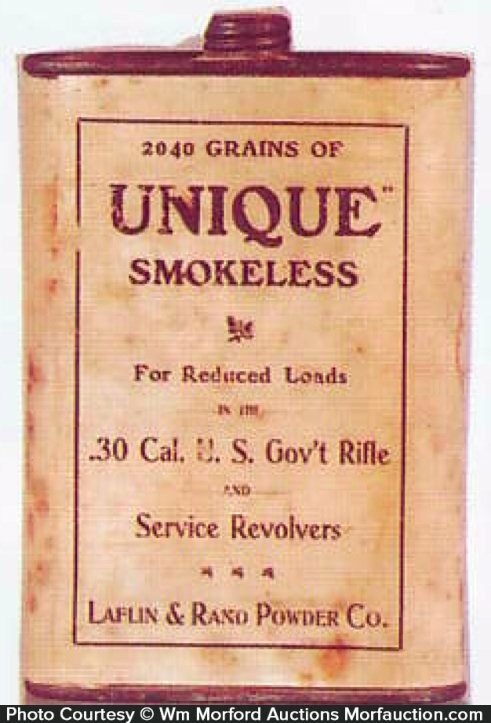 SKU: D12-251. 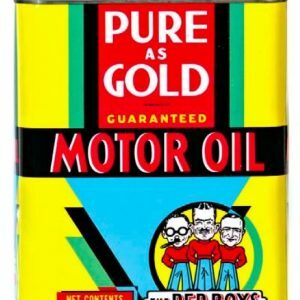 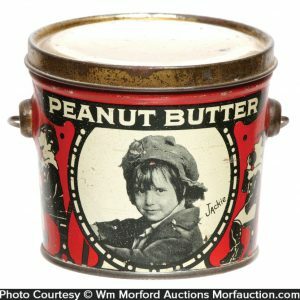 Categories: Antique Tins, Sporting (Hunting/Fishing/Ammo), Sports. 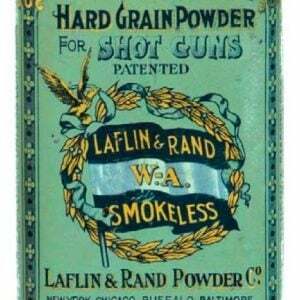 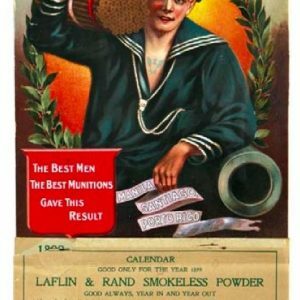 Company/Brand: Laflin & Rand Powder Co., Unique Smokeless Gum Powder. 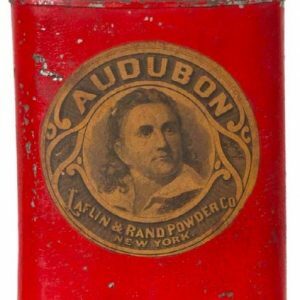 Unique Smokeless Gun Powder Tin: Unusual paper label gun powder tin for Laflin & Rand Powder Co.’s Unique Smokeless Gun Powder for government rifles and service revolvers. 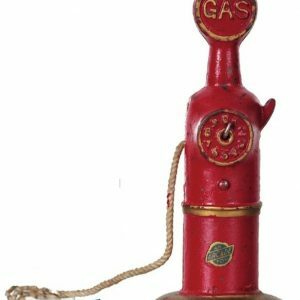 Has overall age tone soiling and scattered stain spots but still quite presentable and displays fine (display side C. 7-; back fair to poor).